To install Windows 7 correctly on some computer models, you can disable USB 3.0 mode in BIOS and switch to USB 2.0 compatibility mode (Legacy USB 2.0). In all other cases, you will have to modify Windows 7 installation media and integrate USB 3.0 driver for your motherboard chipset to the boot and install images of the system. First of all, find USB 3.0 drivers for your chipset and download them from the manufacturer website. (In our example, it is Intel® USB 3.0 eXtensible Host Controller Driver for Intel® 7 Series/C216 Chipset Family). Create the directory c:\tmp and create two more folders inside it: mount and USB3. Unpack the archive with drivers to USB3 folder. Installing 1 of 6 — c:\tmp\usb3\Drivers\HCSwitch\x64\iusb3hcs.inf: The driver package was successfully installed. In the same way update the system image in install.wim. 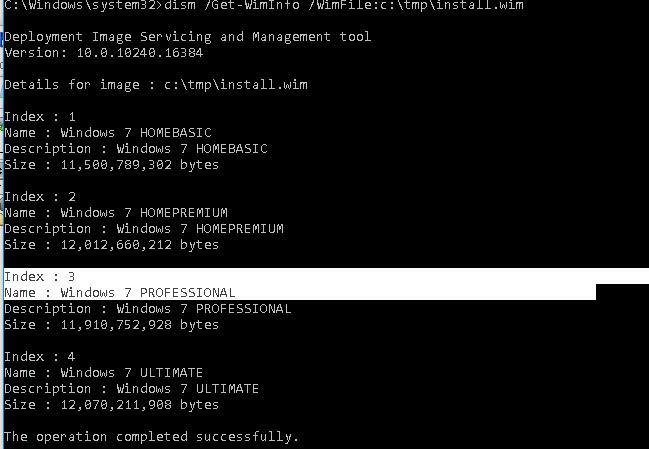 The main difference is that install.wim can contain several Windows 7 editions with different indexes. So you will have to integrate drivers to that Windows edition(s) you are going to install. In our example, there are 4 editions in the image. We’ll add the USB 3.0 driver to Windows 7 PROFESSIONAL with the index 3 (this number will be used to address the edition using DISM). 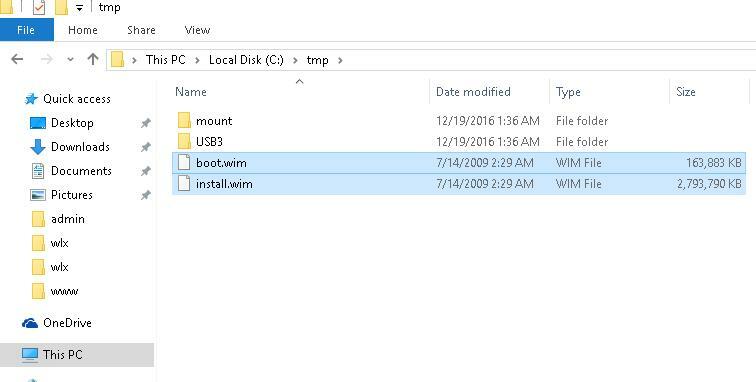 It remains to copy the updated install.wim and boot.wim files to the installation USB stick, or update the ISO file. Now you can use this image to install Windows 7 on systems with USB 3.0 controller. Great article. Just followed to merge USB3.0 drivers into ISO for a Dell 7480. Worked a treat. Brilliant article. Easy to follow. Got the USB mouse and Keyboard working on a HP Elitedesk G3 Mini. Hell ya it ended up working for m on my custom PC. decided to install after windows 10 blue screened me. right? wtf i did realize i needed to copy the .wim files from the tmp folders in C to the usb drive and replace the old ones with the new ones after that it worked! wireless mouse and keyboard no problem. 2 days trying to fix all this and now i can get back to gaming 😀 thank you! BTW intell explained i needed to get the usb drive from my motherboards website msi. Awesome guide, well explained, saved me hours !, thanks so much !!! Been having a hell of a day trying to get W7P installed on an older Thinkpad. It had been downgraded to Windows 10, and this was causing too many headaches. Your write-up above was brilliant; now doing the final bits of Windows updates and other drivers. Thank you again! 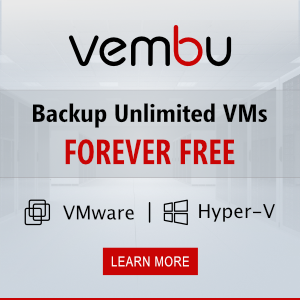 This worked great for getting Windows 7 installed on a 2013 Macbook Air, but once Windows is installed, the drivers are no longer present and the initial setup of the OS cannot be completed. Any suggestions? You may need to add an additional driver for the USB device. I suppose that the keyboard doesn’t work on your Mac? Or forget to integrate the USB drivers into your install.wim image. What driver did you try to integrate into your Windows 7 image? 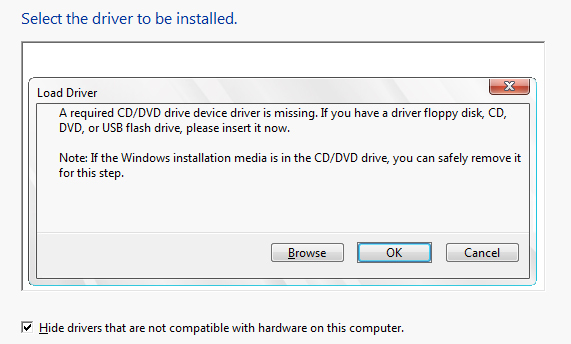 Downgrading an hp15-233 to win7…bad dvd. I’ve tried at least 10 different ways,from manually,to the gigabyte utility to merge the intel extensible drivers to the win7 pro iso,to install win7 from usb. 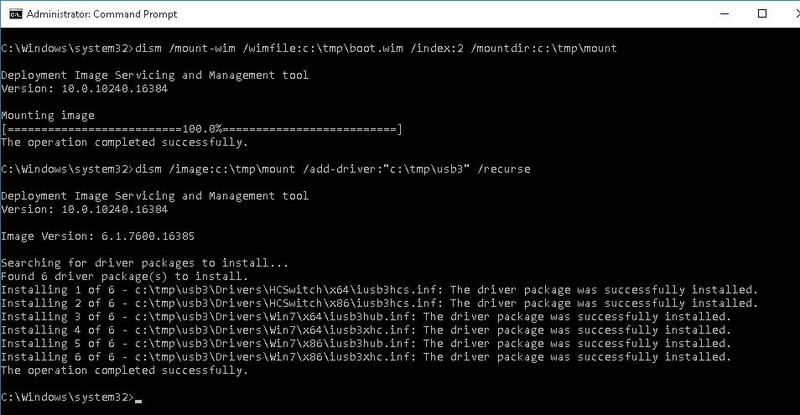 dism reports them correctly,available as 3rd party drivers in boot.wim and install.wim images. I absolutly know these are the correct drivers for this SOC. I even went as far as merging the signed MS usb3 drivers from the original win10 os on this machine. Is win7 setup looking for something else? I’ve spent a whole Sunday so far with no success. It’s now become a QUEST and,I WILL NOT BE BEATEN. BTW make sure ALL windows explorer windows are closed to avoid dism errors when unmounting any wims.